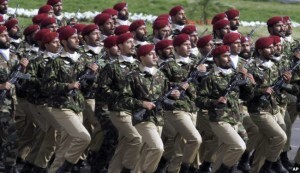 Washington, May 3: In an unprecedented move, nuclear-capable South Asian rivals India and Pakistan are gearing up to take part in joint military drills. Last week, Indian Defense Minister Nirmala Sitharaman confirmed that India would participate in anti-terrorism military drills alongside Pakistan. The two nations, partitioned in 1947, agreed to train under the auspices of the eight-member Shanghai Cooperation Organization (SCO) in the Ural Mountains of Russia in August. The SCO is an economic, security and political organization founded in Shanghai in 2001. China, India, Kazakhstan, Kyrgyzstan, Pakistan, Russia, Tajikistan and Uzbekistan are the member countries. The founder of India’s Defense Intelligence Agency, Kamal Dawar, said that Pakistan’s participation in the drills should not be “merely symbolic.” He said that India and Pakistan had worked together as peacekeepers at the United Nations and that it would be a good thing to re-establish communications. 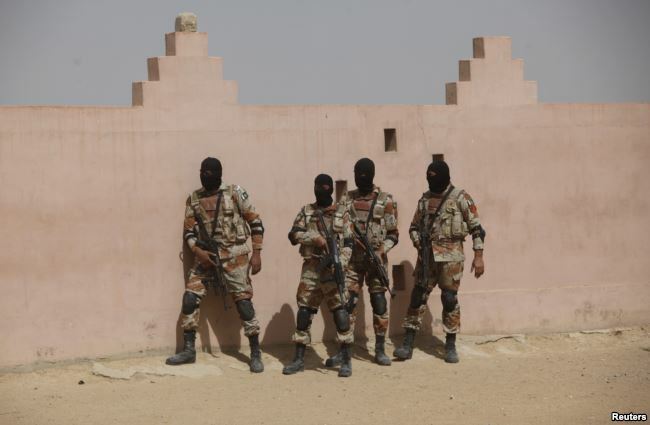 FILE – Pakistan Rangers stand before taking their positions during a counterterrorism training demonstration on the outskirts of Karachi, Feb. 24, 2015. However, Dawar, author of Tryst with Perfidy: The Deep State of Pakistan, is skeptical about whether Pakistan’s army, intelligence agencies and “multiple terror organizations” would be sincere in working with India to defeat terrorism. India and Pakistan, which have been feuding over Kashmir since the two nations were partitioned, will most likely keep fighting over the disputed territory, even if they line up on the same platform. The Kashmir region has been a flashpoint between the two countries and they have fought two wars over it. Dawar had a visceral response at the bare mention of Kashmir. 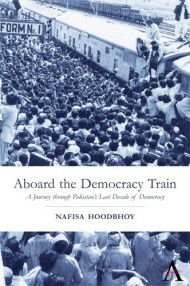 “Pakistan should forget about Kashmir. Kashmir is an integral part of India,” he said. He said Pakistan’s “interference” in Kashmir was unwarranted and the reason why its “deep state” would never allow it to work with India. But Brussels-based security analyst Khalid Farooqi said Pakistan’s “moral position” on Kashmir was recognized by the United Nations. In his words, the Kashmiris’ struggle for self-determination had resulted in 100,000 killed, 10,000 disappeared and thousands widowed. 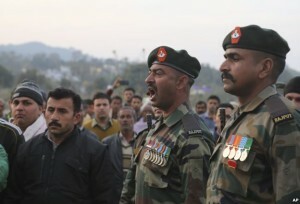 FILE – Indian army soldiers pay tribute to a colleague killed in cross-border firing with Pakistan, during his cremation at Nachlah village in Samba District of Jammu and Kashmir, India, Feb.5, 2018. Pakistan acknowledges that it agreed to conduct military patrols alongside India after the Pakistan chief of army staff, General Qamar Bajwa, recently visited Russia. Mushtaq Mehar, Pakistan’s former ambassador to Turkey, said recent signs of a detente between North and South Korea could serve as a model for India and Pakistan and pave the way for a softening of tensions between the two countries. 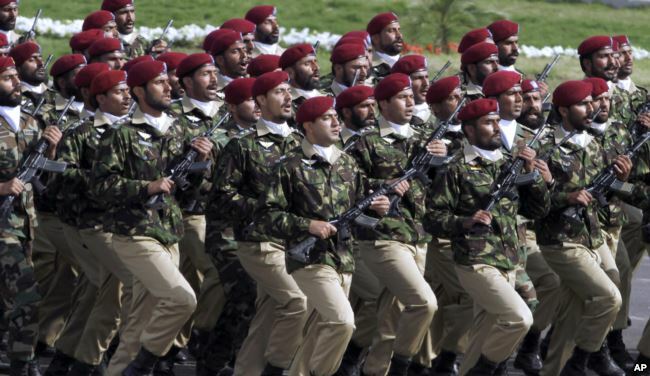 FILE – Pakistani commandos from the Special Services Group march during a military parade in Islamabad, March 23, 2016. According to him, America’s status as a superpower allows it to intervene in a “complicated matter” like the Korean Peninsula situation. Mehar said the United States and Europe were also keen to see the militaries of India and Pakistan fight on the same side, not only to reduce tensions between the two nuclear-armed nations but also to curb the potential for terrorism exploding beyond the region.